Balancing hormones and regulating ovulation by improving the function of the hypothalamic-pituitary-ovarian axis. Increasing blood flow to the uterus, providing a healthy, oxygen and nutrient-rich uterine lining for an optimal environment to nurture and grow. You have a lot of choices when it comes to choosing an acup1uncturist. There are a lot of acupuncturists here in the Twin Cities, and several of us specialize in fertility. How do you choose? I encourage you to ask yourself- what are you looking for in an acupuncturist? Are you looking for a boutique experience or a clinical experience? What aspects of Traditional Chinese Medicine speak to you? Are you drawn to the nature-based food and herbs? The energy and qi? Have you have been reading research studies about the physical benefits to uterine blood flow and hormones? 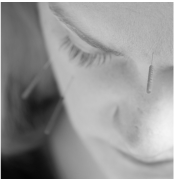 Has your doctor recommended you add acupuncture to enhance your fertility treatments? Have you been hearing about spleens and kidneys and liver qi and are intrigued to learn your Traditional Chinese Medicine constitutional pattern? While we all do acupuncture, our styles are very different. So what is the Pure Point experience like? It's warm and comforting. You feel cared for and supported. with plenty of personal one-on-one time. The space does not feel like a doctor's office, so you can work on your fertility without being triggered and reminded of a medical office. The space is comfortable sanctuary of peace and comfort with a bit of that Minneapolis small neighborhood vibe. There are pillows, cushions, and beautiful rugs on painted wood floor.s There are soft colors, velvet curtains, and flowy fabric ceilings. The rooms are cozy and sweet. You can feel the authentic work we do when you walk in the door and take a breath, and you leave feeling renewed. 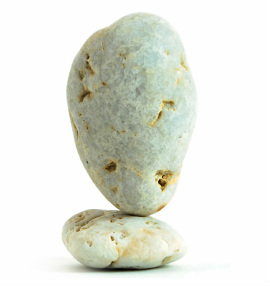 Patients describe Pure Point Acupuncture treatments as the perfect mix of connecting with a friend, a hint of therapy, a relaxing body treatment, and restful meditation. So what is my style? I am a listener. I am a connector. I work intuitively and study the connections between the spirit world and the physical world.. I believe in signs and I believe in timing. I have been doing this for a long time, eleven years and counting. I've lived through terrible menstrual cramps, infertility, bedrest, and C sections. Not all fertility acupuncturists have the personal experience with the struggles of the conflicting emotions and loneliness of this difficult path. I am a gentle acupuncturist and get great results without pain and deep needles. Some women get pregnant their very first cycle of acupuncture with me and some take several months. I am a trained herbalist, but I;m not pushy. If you don't want herbs, that's fine! We will talk about diet and foods you can choose that can help your body. You can speak your truth with me and I will not judge. You can laugh and cry and I will be right there doing the same.